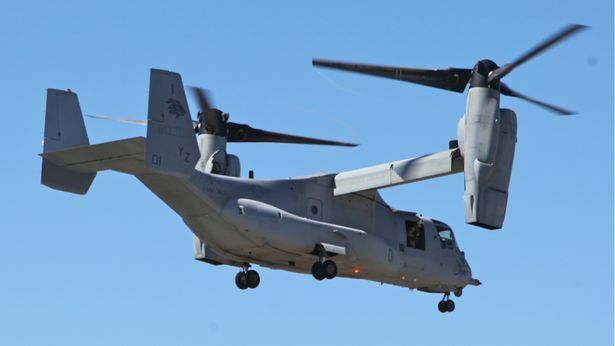 The MV-22 is the Marine Corps new tilt-rotor aircraft and is capable of taking off and landing like a helicopter but with the speed of an airplane. San Franciscans have come to count on many things when Fall rolls around: the Summer, the Giants in the playoffs, and the Blue Angels streaking across our skyline. Summer? Check! The Giants and Blue Angels? I guess we’ll have to wait until next year for another Orange October and our beloved airshow. But again… We have the summer AND we can also count on a coordinated response between our first responders and the military following a catastrophic disaster. The Bay Area received a sneak preview of the humanitarian assistance and disaster response exercises scheduled to take place from October 7 to October 12. 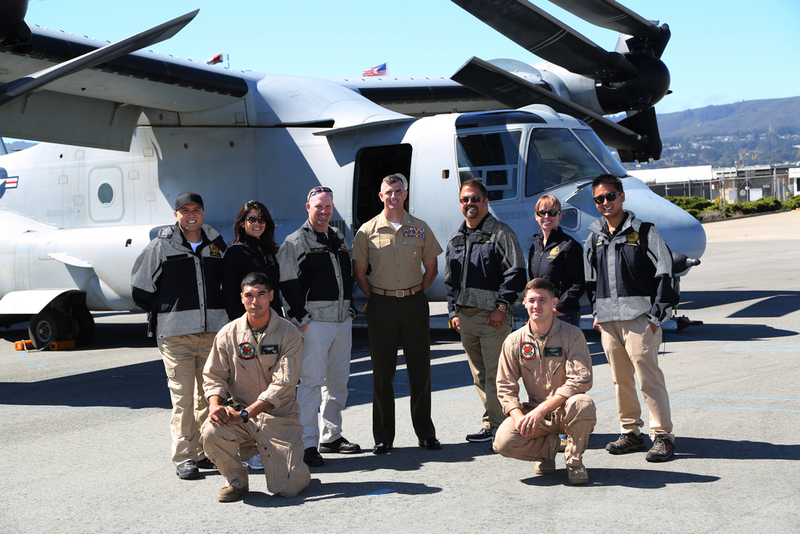 San Francisco firefighters, paramedics, and EMTs practiced casualty evacuation on the Marine Corps new MV-22 Osprey aircraft. Since 2010, San Francisco has conducted joint humanitarian aid and disaster response exercises during Fleet Week. The interoperable exercises allow civilian first responders and emergency management officials the opportunity to train with military units tasked with providing assistance and relief during a catastrophic event like an earthquake. Although the events most commonly associated with Fleet Week are not available this year due to sequestration, the San Francisco Center for Humanitarian Assistance and Disaster Response, San Francisco Department of Emergency Management, United States Coast Guard, and the military worked together to ensure this critical training continued to take place. Humanitarian assistance and disaster response exercises will continue in San Francisco from October 7 through October 12. The week’s events will include urban search and rescue training, joint diving demonstrations, a medical exchange, canine exhibitions, and a Senior Leaders Seminar on humanitarian assistance and disaster response. Visit www.fleetweek.us for more information.